Elections 2018 analysis and discussions. Parliamentary elections 2018 Elections 2018 analysis and discussions. اشار نائب رئيس مجلس النواب إيلي الفرزلي إلى انه "دفعت ثمن كبير جدا خلال مسيرتي السياسية"، لافتا الى انه "اذا كنت ابن سياسي هذا لا يعني انه يجب تحرم من حقوقك المدنية". أكد عضو "اللقاء الديمقراطي" النائب وائل أبو فاعور، في حديث تلفزيوني، أن التحالف بين "الحزب التقدمي الإشتراكي" وتيار "المستقبل" ثابت، لافتاً إلى أن الإتصالات متقدمة مع حزب "القوات اللبنانية"، كاشفاً أن التفاهم بات في مرحلته النهائية في الشوف وعاليه وبعبدا. كشف رئيس جهاز الإعلام والتواصل في حزب "القوات اللبنانية" شارل جبور، في حديث تلفزيوني، أن المفاوضات بين الحزب وتيار "المستقبل" متعثرة لكن الإتصالات لا تزال قائمة، موضحاً أنه في بعض الدوائر هناك تعارض في المرشحين وفي دوائر أخرى هناك تعارض بالتحالفات. 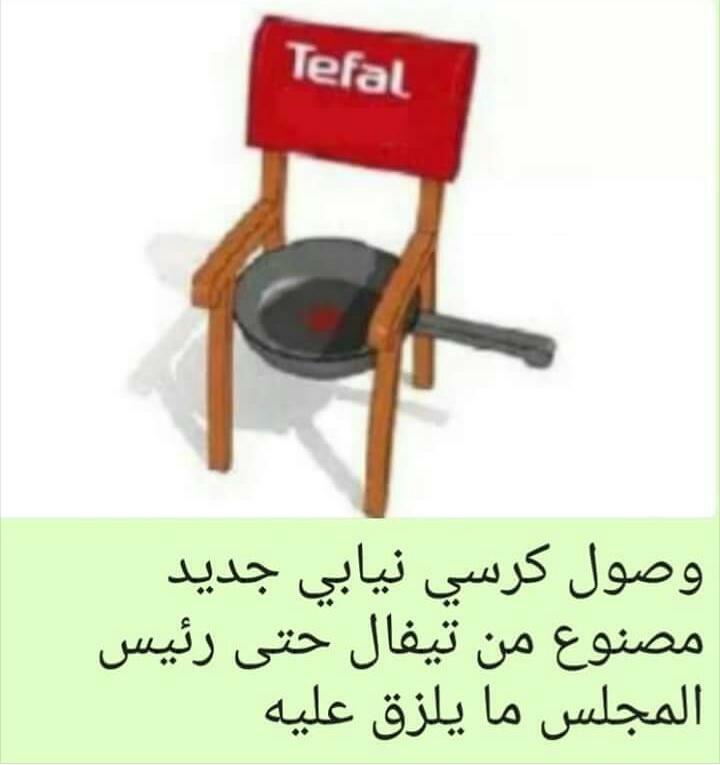 وفي حين أشار جبور إلى أن أننا "لا نطلب مكافأة من أحد بل نريد أن يأخذ كل فريق حقه التمثيلي"، أكد أن أي تحالف في ظل قانون الإنتخابي الحالي يجب أن يكون مبني على شراكة حقيقية، لافتاً إلى أن لاتوافق بين "المستقبل" و"القوات" في دوائر طرابلس وعكار وبيروت وصيدا وجزين. I thought they already agreed on a few districts and negotiations were being finalized on others... is this alliance up in the air now?? Logical. However LF will be considered as winners as their number of MPs will increase while FPM will be considered as losers cause the number of their MPs will decrease. Actually the biggest loss will be if by any chance Bassil loses for the third time. This will make FPM explode because I doubt that any of the winners will accept that Bassil be his boss after a third failure. So mutiny and defection will accelerate. Initially I thought there's no way that he loses but according to @joseph_lubnan if he is 3rd among the Maronite candidates he will be out. max 50 ma23ad fiyon lmassi7iye yjibouwon bi 2asswat lmassi7iye. Looool too optimistic ! FPM will get much less and this is coming from an FPMer. According to all polls jubran is a done deal. Yesterday global vision statitstics company owner said on new tv that if we ended up with 3 lists in north 3 as predicted, jubran bassil will 100% win. Everyone is saying the same. This talk is the same as some inmaginary scenarios on how the opposition will break through hizbullah/amal lists in sour zahrani or marje3youn. It will be too funny to see wehbe katicha win instead of assaad dergham in akkar where LF barely have half the support of FPM . Sometimes i wish aoun kept hariri locked in saudi arabia and appointed safadi. mish 3ewzin lmousta2bal ta njib neyeb wmtra7 ma lmousta2bal bado ya3te ltayyar ma23ad ltayyar bado yredello hayda lma23ad bi gher dayre. bass l2ouwet lwa7idin yalle byestafido 2ino yinzalo bi lista ma3 7ada tene la2ano ma 3indon l7assel la wa7don 2ille bi bchareh, beirut 1, wza7le. bi baabda 3indon shi 9000 2iza t7elafo ma3 l2ishtirake li ma3o 13000 hek bissir ma3on 1.5 bass 2iza da3amon lmousta2bal bissiro 1.9 fa ma bighayer shi. wbi lchouf walley ma3on 7assel 15000 ya3ne lezem yjibo neyeb bass hawde badon y2asmowon 3ala 2 shi 8000 bi shouf w 7000 bi alley whayde bta3mol mashkal lmousta2bal bye2der ya3te 11000 la ghatas khoury w 11000 lal hajjar. wjomblat 2eder ya3te tohme 10000 wnaji lboustene 2eder yjib 9000-10000 fa 2akid georges 3edwen byoss2ot. wbi akar 2iza nezel l2ouwet ma3 lmousta2bal 2assessan ma 3indon l2ouwet hawnik 0.2 7assel fa 2akid ma bijibo wala ma23ad. wbi lmten la hala2 l2ouwet damano 2000 sawt 2ishtirake whine 3indon max 8000 2iza byodmano sawt lsinniye 2500 se3ita ma32oul yjibo l7assel. if he loses again, and has any shred of dignity, he will resign from the leadership of FPM. that's IF he loses. His tayyar bassili is hoping for 1 out of 10 MPs in the largest Christian district these elections, in Bassil's own backyard. Bassil Not Qawi. I doubt that he loses too, but this possibility was discussed by @joseph_lubnan and if he is right there is a scenario in which he might lose even if the list took the majority of the votes. It suffices that he falls 3rd in the preferred votes among Maronite candidates. Anyway, my main point is that IF he loses he will not resign as you expect him to do but FPM will explode. I am not attacking the guy, I am simply trying to predict his behavior based on 13 years of experience. He will prefer to be head of a fraction of FPM instead of resigning and let someone else be "democratically" elected head of a stronger FPM. You live in Canada and for sure you have noticed that democratic parties have this feature of being able to regenerate again based on elements who actively work to convince voters. Almost every big party in France passed by a crisis, and it was only democracy that was able to make them stand again. What is the ambition of any political activist in any party in Lebanon ??? Simply to serve the za3im...no one outside the family of the za3im would ever dream of reaching the top because of his competences and skills. At one time I thought FPM is a different experience, but unfortunately it was not the case. are you sure you want such seat ??? Shou ostak baddi dalni 3almak ??? or one could say that bassil could easily get elected wherever he decides to run in mount Lebanon, i would like see to see samir ja3ja3 or slaymen franjiyi run in metn or kesrwen, or even in baabda/alley/chouf. it would be pretty nice if we are hoping for 1 out of 10 and we get 3. well, it won't be pretty nice for you, but you should begin preparing yourself for such an outcome. you shouldn't up your xanax suddenly, so increase the dose gradually from now.